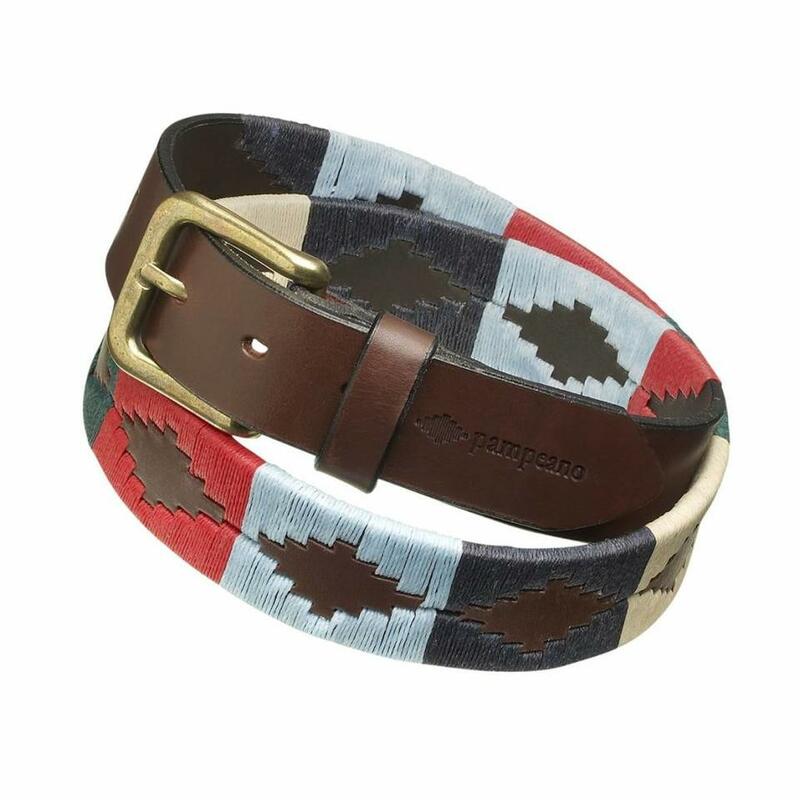 This is a high quality cotton covered woven fabric belt with dark brown leather trimmings and an anti-tarnish bright silver finish metal buckle. 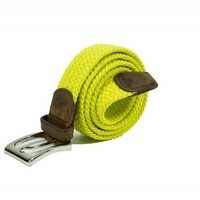 The buckle prong simply goes through the belt material to give the perfect fit for the wearer. 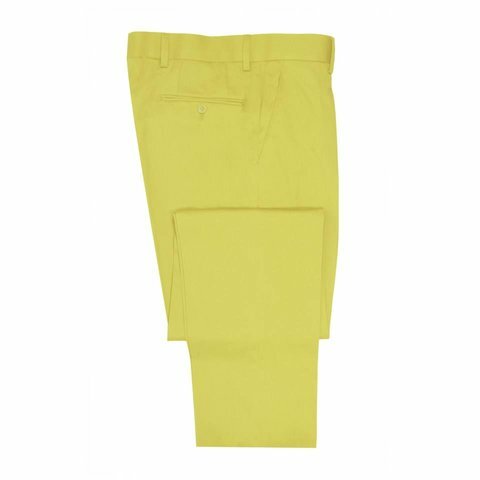 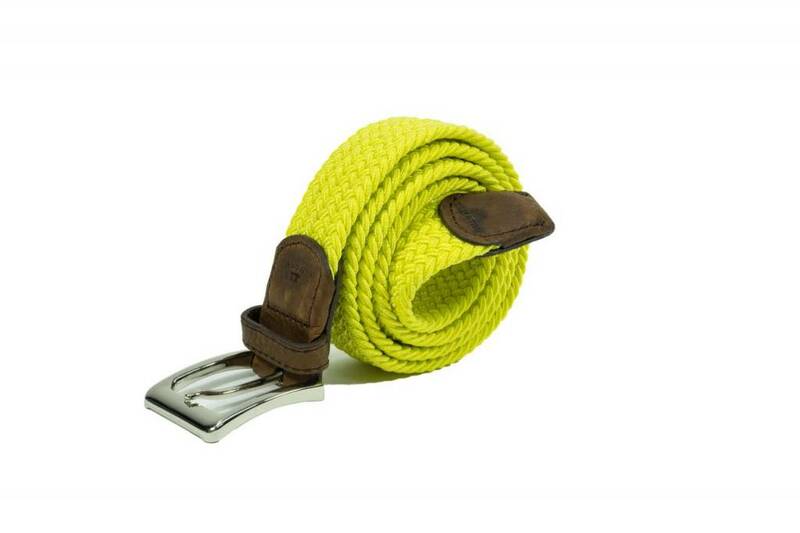 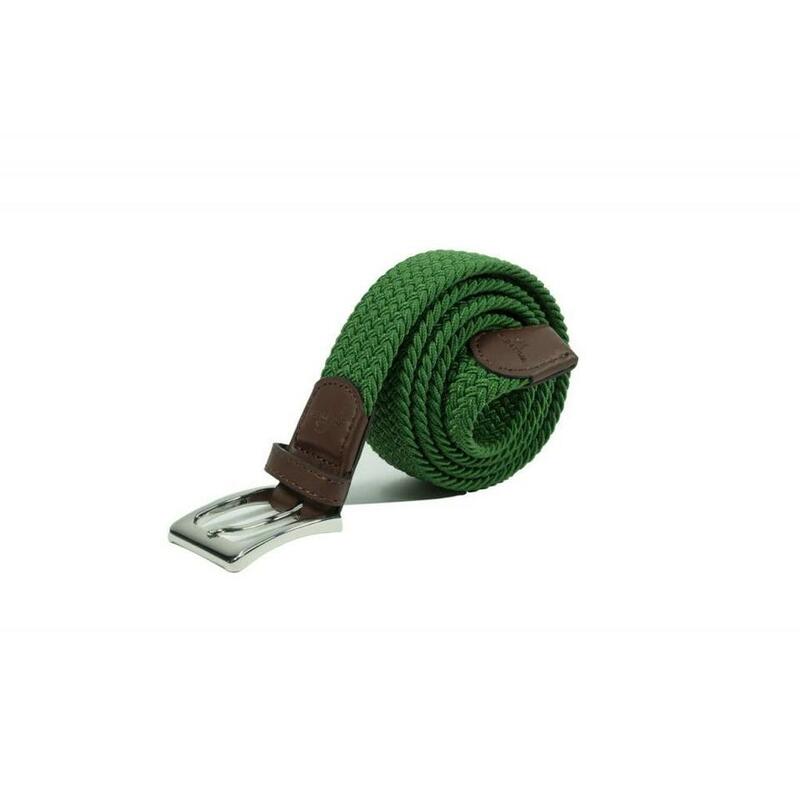 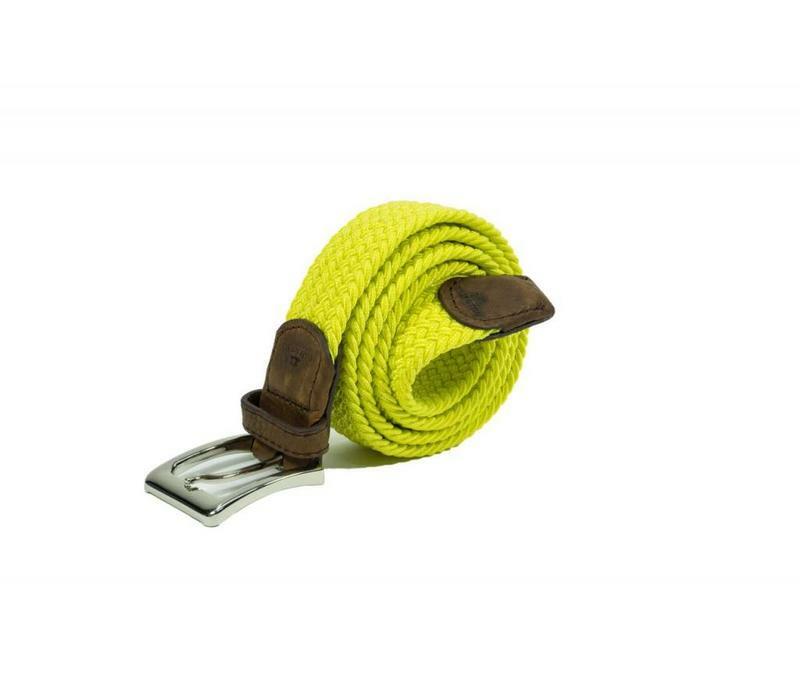 This stylish belt looks great on jeans, chinos or suit trousers.